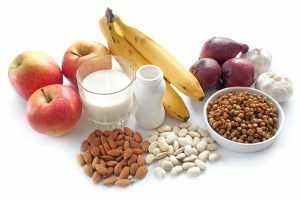 Irritable Bowel Syndrome (IBS) is one of the common disorders, which can strike anyone at any time. It affects the colon or large intestine and can be quite painful as it causes cramps and pain in the abdomen. 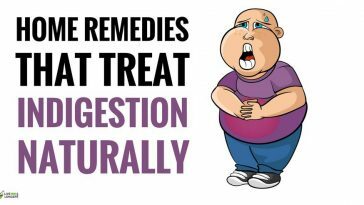 There can be bloating due to excessive formation of gas, diarrhea, and constipation. This is a chronic disorder that requires patient long-term treatment. Although the disorder causes a lot of discomfort, it does not damage the large intestine or cause any tissue damage. The symptoms can be controlled by rigid diet, better lifestyle management, and working on the stress quotient. 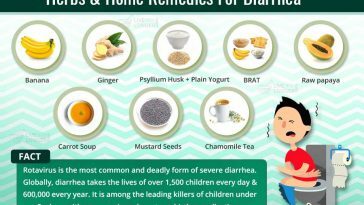 There are several easy and quick home remedies for IBS (Irritable Bowel Syndrome) that give relief. Symptoms: Cramps in the abdomen accompanied by pain, bloating, gas, diarrhea or constipation. Extract the gel of 2-3 thick leaves of Aloe Vera. Wash it and run it through a mixer-blender. Collect the juice. Drink this in the mornings. Continue the process daily for a week. Aloe Vera (Aloe barbadensis miller) is a medicinal plant that has some amazing curative properties. It is used extensively in the Ayurvedic system of medicine for curing various stomach ailments and is one of the best remedies for colic. Apart from being an excellent antioxidant, it is rich in enzymes like alilase, alkaline phosphatase, amylase, bradykinase and cellulase, which help strengthen the digestive system. Aloe Vera juice is one of the best home remedies for Irritable Bowel Syndrome. Aloe Vera is a herb that does not have any adverse effects when used for a short term. If you need to use it over a longer period of time, do consult a herbalist or your physician. Get some fresh yogurt from a good source. Consume a cup of fresh yogurt daily. Continue this process for a month or so. Probiotics play an important part in maintaining the balance in the digestive tract and help keep the gastrointestinal system functioning properly. The army of good bacteria found in yogurt helps in fighting the bad bacteria and prevents them from taking over the digestive system. Moreover, the good bacteria help in preventing indigestion. Probiotics make one of the best home remedies for IBS. While yogurt does not cause any adverse side effects, people watching their weight need to look out for the additional calories and fat they would be consuming. Take 4 to 5 cloves of fresh garlic. Wash, peel and crush the garlic cloves. Boil a glass of water in a small bowl. Add the crushed garlic and allow it to steep for 10 minutes. Strain and add a teaspoon of pure honey. Garlic is a herb that has been used as part of everyday cooking in most of the cultures of the world due to its digestive properties. Garlic also has other medicinal benefits and helps remove flatulence caused by the accumulation of gas in the intestines, which results in Irritable Bowel Syndrome. Consuming garlic regularly by making it part of cooking and drinking the extract helps remove the parasites lodged in the colon, it also helps remove the excess mucus in the lining. Garlic is one of the best home remedies for IBS. Garlic is a health food that does not cause any adverse side effects. However, people with peptic ulcer may find consuming the garlic extract causes irritation and a burning sensation. Boil 1 teaspoon of Gentian Root Powder in a glass of water. Steep for 10 minutes. Strain and add a teaspoon of honey. Drink the concoction at least 15 minutes before a meal. Continue the process for a couple of weeks. Gentian root has been recommended by herbalists to induce a better appetite and to handle gastrointestinal issues like heartburn, indigestion, diarrhea and vomiting. It soothes the stomach and adds strength to the intestinal walls. It can stimulate the secretion of saliva and bile, which are essential in the digestive process. It also induces the secretion of gastric juices that aid with digestion of food. Gentian root is one of the best home remedies for IBS (Irritable Bowel Syndrome). Gentian root does not cause any adverse side effects when used in the short term as a remedy. For prolonged use please consult a herbalist or your physician. Take a couple of ripe pomegranates. Remove the external skin but include the yellow pith. Run the pomegranate through a mixer-blender to make juice. Pomegranate juice is very delicious and is packed with goodness as well. It contains a liberal dose of antioxidant and is an excellent antiviral and anti-inflammatory agent as well. Pomegranate is an excellent source of Vitamins and contains Vitamin A, C, and E as well as folic acid. Pomegranate juice helps in preventing the oxidation of bad cholesterol (LDL). Pomegranate is one of the best home remedies for IBS (Irritable Bowel Syndrome). Pomegranate juice does not cause any major side effects. However, chronic diabetics need to be cautious as Pomegranate juice can raise the blood sugar level instantly. Boil 2 teaspoons of Fennel seeds powder in a glass of water. Steep for 10 minutes. Strain and drink the tea before and after a meal. Fennel (Foeniculum vulgare var. dulce) seeds, which belong to the parsley family, have been used in folk medicine for curing flatulence and other stomach disorders from time immemorial. These sweet flavored seeds are loaded with flavonoids and antioxidants including kaempferol and quercetin which help in flushing out the powerful free radicals. Moreover, Fennel seeds are rich in dietary fiber which helps in curing constipation. Fennel seeds make one of the best remedies for Irritable Bowel Syndrome. 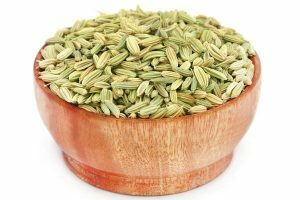 While Fennel seeds do not cause any major side effects, they may cause allergic reactions for some people, especially those who already are allergic to celery, carrot or mugwort. Boil 1 teaspoon of Marshmallow root powder in a glass of water. Simmer for 10 minutes. Strain and add a teaspoon of honey. Drink this decoction daily for a week to 10 days. Marshmallow root and leaves have been used extensively to treat a plethora of maladies including pain and swelling in the respiratory tract, cough etc. Marshmallow root is very effective in treating inflammation in the lining of the stomach and is good for stopping persistent diarrhea. It is an excellent cure for stomach ulcers and constipation as well. 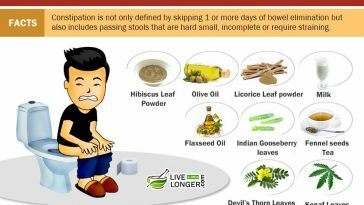 Marshmallow root powder gives the best answer to the question how to get rid of IBS? Marshmallow root does not cause any side effects and is safe. However, diabetics on medication need to be cautious as Marshmallow can lower the blood sugar levels. Get some fresh Kefir. Consume a cup of Kefir daily. It can be consumed along with meals. Else, eat in between meals daily for a couple of weeks. 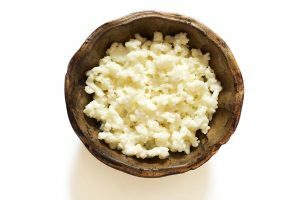 Kefir is a healthy food similar to yogurt and is made out of goat’s milk and kefir grains. It helps restore the functions of the healthy bacteria in the intestines and helps them fight against the bad bacteria. Kefir is full of animal protein apart from calcium, Vitamin B-2 and B-12, potassium, as well as magnesium. Moreover, Kefir contains probiotics or friendly bacteria which help in boosting the immune system and keeping the body free of infections. 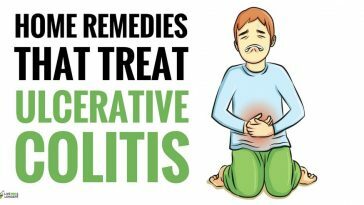 Kefir is certainly an excellent remedy for irritable bowel syndrome. Kefir does not cause any known side effects. However, consuming large quantities may add to the calories and deposit of fat in the body as well. Take 2 teaspoons of green tea leaf or dust. Boil a glass of water in a small bowl. Add the green tea leaf or dust. Allow it to steep for 5 minutes. Strain and drink the tea hot. You may also cool the tea and add two drops of fresh lime and drink. Green tea is loaded with antioxidants and helps relax the intestines and colon and has a soothing effect. It helps in relieving the discomfort and pain caused by flatulence. Add some grated ginger while preparing the tea and the beneficial effects of ginger and green tea together help get relief from the discomfort caused by Irritable Bowel Syndrome. Green tea is one of the best home remedies for IBS (Irritable Bowel Syndrome). Green tea is a natural product that does not have any known side effects. However, it needs to be consumed in moderation, hence two to three cups per day is more than enough. 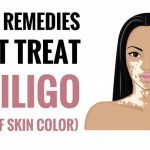 Get a bottle of therapeutic Slippery Elm Extract. Mix half a teaspoon of Slippery Elm in a glass of warm water. Drink this mixture daily for a month or so. 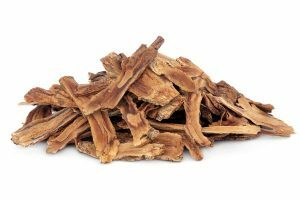 Slippery elm is a herbal supplement that has been used as folk medicine by the Native Americans for ages. It has been specifically recommended for treating Irritable Bowel Syndrome, thanks to its mucilage type of consistency. It has a soothing effect on the lining of the intestines, and helps in relieving constipation or diarrhea. 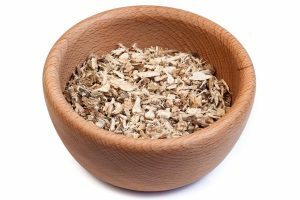 Slippery elm is one of the best home remedies for Irritable Bowel Syndrome. 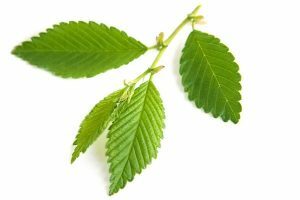 Slippery Elm does not cause any major side effects when consumed orally. However, it should not be given to pregnant women as it may cause contraction of the uterus and lead to an abortion. There is heavy purging and it does not subside with medication. 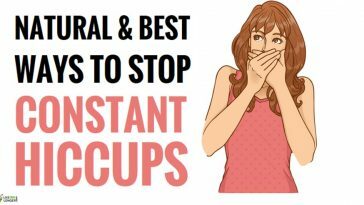 The stomach ache or discomfort is very severe and unbearable. 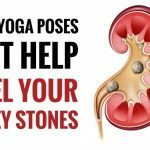 How is stress related to IBS? Thanks to livealittlelonger. So much useful information. 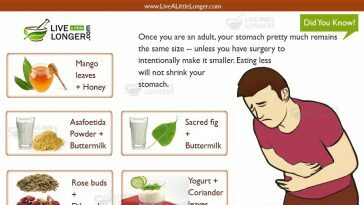 Why do you suggest Home remedies for IBS? To get yourself cured from it Cabba. Research says that it is more common in women than in men.